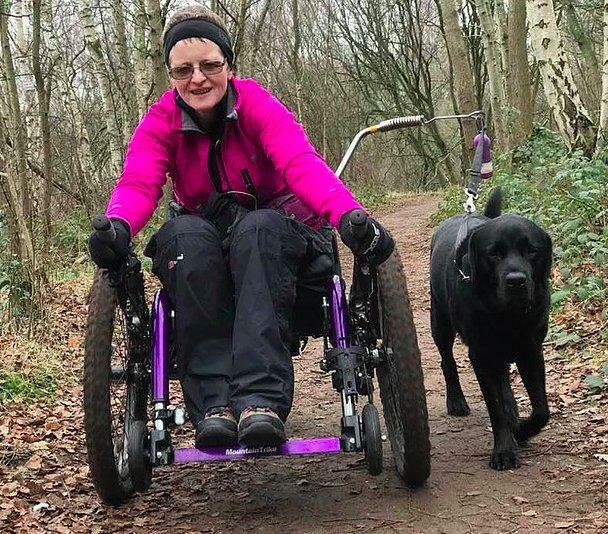 We have lots of customers with varying abilities but all have the same interest at heart and that is to be able to get outside and enjoy the great outdoors. Some love nothing more than getting out independently traveling and exploring new areas, while others love trips to their local park with friends and family and some like the more extreme challenges. Recently customer, Amanda Davidson, was interviewed for the work she has done with the charity 'Support Dogs' and the achievements she has managed over the years. Amanda, thank-you so much for sharing your Support Dogs story with us. Looking at the list, you’ve clocked up some incredible achievements over the last few years including numerous distance events, a team assisted climb of Snowdon, huge hiking distance events and most recently, qualifying as a paralympic-potential for the GB archery team! Achievements you mention Jupiter (her support dog) has helped you to achieve, and that you give him credit for.